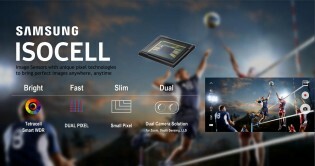 Last week, Samsung introduced the ISOCELL image sensor brand. A recent presentation reveals some additional details and gives us a peek at Samsung’s plans. The Dual camera setup in particular can be configured in three different ways – Zoom, Depth sensing and Low Light shooting. This will make it the most versatile in the lineup. The company also offers to help others with custom dual camera designs on the sensor and software levels. The Slim line will benefit from Samsung’s silicon node advantages. It claims “superior image quality” with small pixels built on a 28nm node, while most others are on a 40/55nm node (for comparison, the Galaxy S7 camera used a 65nm sensor). Such cameras will go beyond the smartphone – Samsung’s recent bid to be a car technology supplier means that the multiple cameras on modern cars can use ISOCELL sensors. 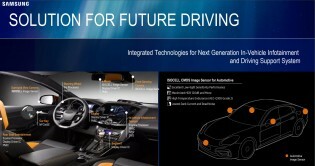 These specialized automotive sensors will offer excellent low-light performance with a high dynamic range and high temperature endurance (car tech needs to be more rugged than pocket tech). Thanks for the tip, Michel! 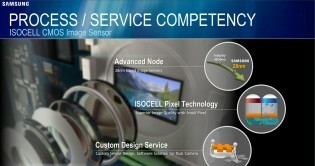 ISOCELL Technology... ISOCELL Technology... Err.. And Samsung still uses the Exmor R CMOS sensors from SONY ! For god's sake it's enough Samsung!